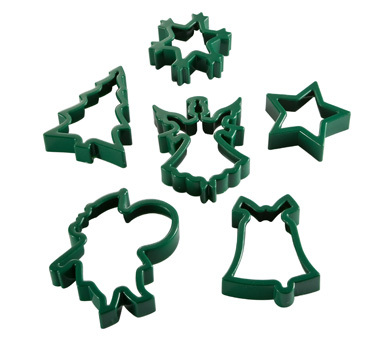 Set of 6 Christmas cookie cutters. Made in the USA. 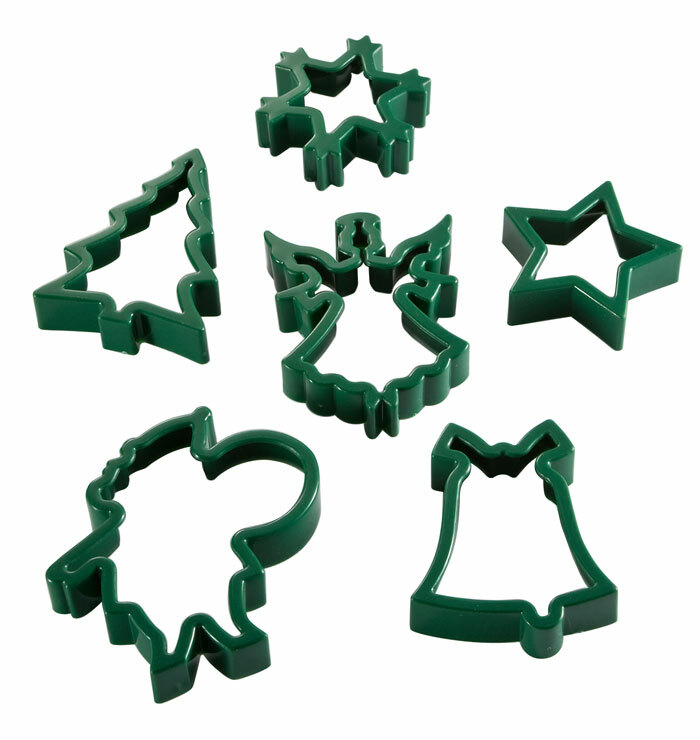 Colors: Assorted Red and Green.